Don’t skimp here! Hockey is very much a contact sport, and you will want to make sure your player has the best equipment. Many youth leagues require cage helmets. The Bauer IMS 5.0 Helmet Combo fits the bill nicely in many ways. This helmet offers state-of-the-art protection, with a facemask and integrated ear covers. It’s certified by CSA/HECC. Fit is crucial for helmets, and this is not a one-size-fits-all piece of equipment. The Bauer IMS has easy adjustments that can be made without special tools. It comes in small, medium and large sizes, and can become longer front to back. This allows for a bit of growth for your child. 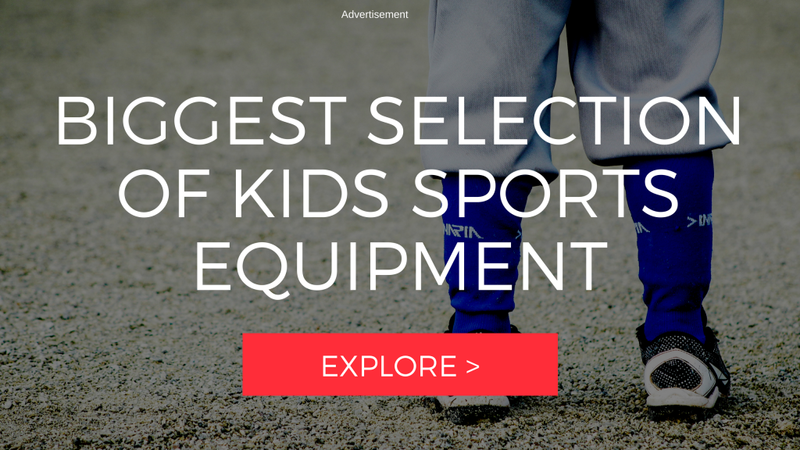 Hockey players need lots of pads, including shin guards, elbow pads, shoulder pads, and more. If your player is just starting out, you might want to consider a “starter set” such as this one from New PowerTek. It comes in youth small, medium and large sizes, fitting children from 40-70 pounds. Of course, if you choose, you can also purchase each of these pieces individually. Finding the right safety equipment is important. Players will want pads that are light-weight and and flexible. 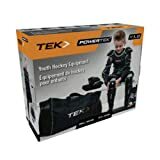 This particular set also includes some other hockey essentials, such as pants and equipment bag. When choosing protective gear, don’t forget the teeth! 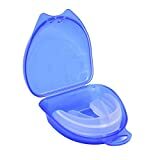 Hockey pucks and sticks can do enormous damage to an unprotected mouth, so a mouth guard like this one is a must-have. This particular model is particularly friendly to orthodontic work-if your child has braces, it’s designed to protect them as well as the teeth. Look for mouth guards that are flexible, comfortable, and made of high-quality, proven safe materials. Your athlete should be able to breathe freely and should be able to nearly forget that he or she is wearing the appliance. A special carrying case is a huge plus to minimize the chances of loss or damage. Finally, no set of protective gear is complete without groin protection. Both boys and girls need special protective gear to keep their “delicate” areas safe. Many male hockey players seem to prefer compression briefs such as this product. Girls might choose a “jill” protector. 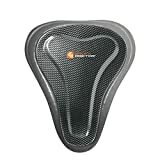 For best comfort and maneuverability, choose products that fit well while providing the needed protection. The gear should sit in a natural position, provide adequate airflow, and allow for a wide range of motion to accommodate all of the active moves of hockey like skating and crouching. Kids won’t want to wear their actual uniforms during practices, so you’ll need to make sure they have adequate hockey clothing to wear when games are not in progress. They’ll also need clothing items that allow for all the moves they need to do while keeping them warm and safe. Socks play a crucial role in comfort for hockey players, so pay close attention to the kind you get for the kids. They help keep the player warm, but they also need to have great elastic to hug the calf. They need to fit like a glove to cushion the skates adequately and to avoid blisters. These socks might just fit the bill. They feature finely-tuned sizing for great fit, fabric that combines high-tech warmth and stretch with the moisture-wicking and breathable features of cotton, as well as long-lasting stretch so they don’t ride down. Youth hockey pants should be lightweight and flexible, yet water resistant and warm, and this pair fits the bill. Featuring an elastic waistband and extra reinforcement where it counts, this garment is an example of what hockey pants ought to be. Busy moms will also appreciate that the high-tech fabric dries fast, yet gets the job done for the athlete. Players will love the feel, and parents will appreciate the practical construction and quality. Good gloves are crucial for hockey players. 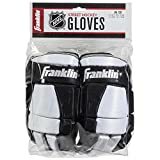 Gloves need to be functional to keep hands warm in the rink’s chill, but they also must allow for good grip and be flexible enough to let players move their hands comfortably. These Franklin gloves fit the bill nicely. The gloves are designed with an anatomically correct fit to allow for maximum flexibility. They have shock-absorbent padding to handle the knocks of the game, but also feature breathable fabric to minimize overheating. Every hockey player needs a few essential pieces of equipment, as well. Here are some of the most important things to provide for your youngster. It’s nearly impossible to play hockey well without a great skate. The Bauer Youth Vapor X300 is a high quality piece of equipment that gets great reviews. The features make them worth the extra investment, though. Parents compliment the sizing chart’s accuracy as well as the durable construction. The most important aspect, though, is comfort and wearability. 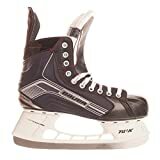 Parents of athletes comment that their children “love wearing them” and several noted that their children were skating better in these than in their older pairs. Of course, the most obvious piece of equipment needed to play hockey is the stick. Be sure to research carefully to find just the right one for your athlete. He or she will need an ice hockey stick (there are also field and street hockey sticks) and it will need to be the right size. You’ll also want to pay attention to the “handedness,” since hockey sticks come in right- and left-handed models. This particular stick has great reviews on Amazon for durability and flexibility. The manufacturer of this one-piece stick says that its extraordinarily light weight is due to the construction materials: a blend of fiberglass and an ultralight carbon fiber. Another feature is a unique tapered design that maximizes flexibility where it counts and strengthens the bottom of the stick to minimize risk of breaking due to torque. As you can see by the rest of this list, hockey gear could get quite difficult for your athlete (or you!) to lug around. You want to make sure to invest in a great gear bag. This one is a good size for younger players (26”), and features wheels just like a suitcase for the times and places when rolling is easier than carrying. 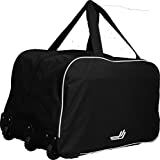 Gear bags will need a large main compartment suitable for pads and skates. It’s important to have good, durable straps both for carrying and for pulling. Extra small pockets will be perfect for small and easy-to-lose equipment such as mouth guards.